Royal Enfield is taking a major, bold step in the business, as the Indian manufacturer announces establishing their first wholly owned subsidiary outside the home market. 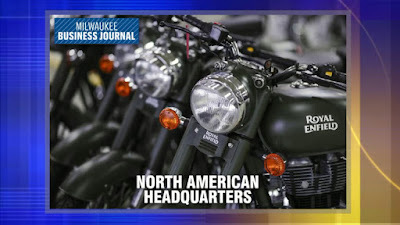 As the US is one of the most important new markets for Enfield, it should not surprise anyone that the subsidiary is called Royal Enfield North America and is based in Milwaukee, Wisconsin. The newly-formed commercial entity will soon become operational and will take care of all the aspects selling motorcycles comes with. This includes operations, marketing, communications, sales, warranty, service, dealership development and finance, all focused in the US market at first, and most likely envisaging expansion in Canada and possibly South America. In the last 15 years, Royal Enfield sold bikes in the US through third-party retailers, but decided to build its own commercial structure for the North American market. Rod Copes was confirmed as the new President of Royal Enfield North America. He says that Enfield will have a complex approach to the new market, as the US subsidiary has already laid out the plans for the next 18 months. Royal Enfield aims to build an independent dealer network, but will not neglect other retailers who want to sell the Indian bikes. "Royal Enfield's first fully branded retail store in the United States will soon be launched in Milwaukee that will retail its entire product line-up of motorcycles and gear. Over the next 18 months we plan to launch several such stores in key metropolitan areas across the US. We are also focusing on building a strong independent dealer network that will maximize our brand awareness and sales," Copes adds. The global HQ remains in Gurgaon, while the bikes that are to be sold in the US will still be manufactured in the same place, Chennai, also in India, where production was started in 1955. Believe it or not, Royal Enfield, initially a British manufacturer established in 1901 (same year as Indian), is the world's oldest motorcycle manufacturer with a continuous operation. At the same time, with over 50% year-to-year growth, RE is the world's biggest-growing bike maker. Having sold more than 300,000 units last year, Royal Enfield aims to raise the figures to 450,000 in 2015. Reportedly, all of the RE bikes will eventually make it in the States, so we are looking at one huge marketing offensive.